This post is brought to you by CYBEX. All opinions are honest and 100% my own. I have teamed up with CYBEX. 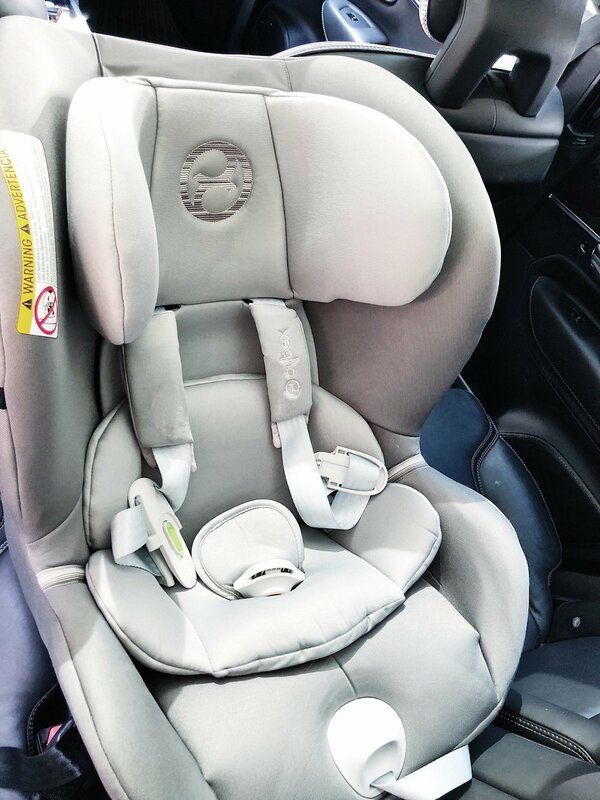 to share with you their new convertible car seat, the Sirona M with SensorSafe 2.0. Ya'll this car seat is a dream. I'm not lying to you when I say this is our 4th and last car seat we have tried. We started using this seat a month ago when Maverick had just turned 9 months. Maverick loves this one. Not only is this car seat spacious and Mav's favorite, it's my favorite because of all the safety features it has to offer. This car seat has incredible technology that sends alerts to you when your child is put in danger. Every child is different. Some LOVE a good car ride, in fact the ride may even put your kid to sleep almost immediately, others may not be as lucky. I remember my son screaming for the entire car ride no matter where we would go, no matter what time of day. I noticed the car seats were not comfy enough for my little man. When I tried the Cybex Sirona M with SensorSafe 2.0, I wanted to cry tears of joy because Maverick did not cry. He loved it. I searched the web for months and months to find the safest car seat because my number one priority is keeping him safe. I'm so excited to share all this car seat has to offer. Now that is a happy baby face. We weren't all smiles in the past when it came to car rides. Thanks CYBEX. for making a seat my son loves. I will start with my favorite safety features of the new Cybex Sirona M with SensorSafe 2.0. This car seat was originally developed to prevent the rising number of infant hot car deaths, something I honestly didn't even know was a thing until having a baby. Cybex Sirona M with SensorSafe 2.0 takes it one step further to monitor the well being of the child while the vehicle is in motion. Whaaaaat?! Yes! Whether you accidentally leave your child alone in the car (which I never thought I could ever do until my mom brain kicked in) or the child unbuckles themselves (something to look forward to as they grow up), the essential alert will go off through both the vehicle receiver and the caregiver's cellphone. Remember folks, It is NEVER safe to use your phone while you drive but have no fear the app is not required to receive alerts so you can keep both of your hands on the wheel if your co-pilot is with you. 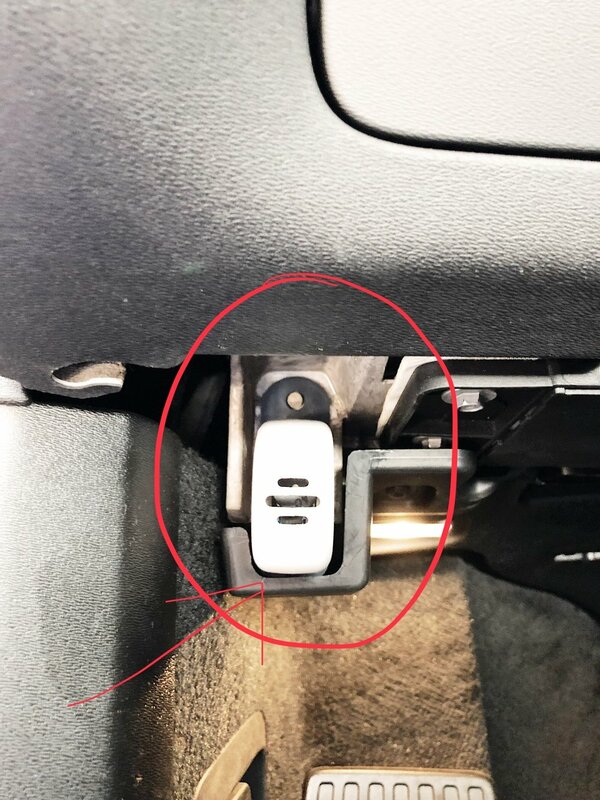 This little chip that you are about to see installs into your car (super easily) right under the dash and will sync up with the SensorSafe app to send you alerts. If you are a parent who puts safety first, then the Cybex car seat is for you. When life gets crazy and I'm running around like a chicken with it's head cut off and my mind is full, I'm so thankful that I have a car seat that will alert me if I make any mistakes along the way that could leave my child in harm. I love that there is an alarm that will sound if it gets too hot. Living in Nashville it is very hot and since I'm in the front seat with all the air in my face, it's hard to tell how warm it is in the back seat. I don't worry about these things now that we are using this car seat. The new Cybex Sirona M with SensorSafe 2.0 has an energy absorbing shell around the car seat which reduces the impact force felt by the child in a collision. The headrest is adjustable and there are 12 different positions for the height of the headrest. Yes I said 12! I love that the harness will automatically adjust when the headrest is adjusted. Could this seat get any more amazing?! Yup! The Cybex Sirona M with SensorSafe 2.0 is for children weighing 5 pounds all the way up to 65 pounds! So one seat is all you truly need! The seat has a newborn insert so it can be used for newborns. To the new parent who is expecting and on the hunt for a car seat, I do however suggest when you have a new born to get a car seat for those first few months that you can remove and take them with you wherever you go that does attach to the stroller and CYBEX makes an incredible one. Newborns sleep A LOT in the beginning and getting them in and out of the car seat all day long is no fun. The Cybex Sirona M with SensorSafe 2.0 seat is big and does not hook into a stroller but I think the reason Maverick loves it so much is because he has so much room to move around and doesn't feel trapped. I love that the top part of the straps have a no slide griper on the bottom so they stay in place and they are soft and don't irritate his cheeks which is one issue we had with other car seats in the past. Aside from the CYBEX being an amazing car seat with wonderful features, I love the color of it. I'm not a big fan of dark color seats since they seem to get so much hotter. This light grey color is perfect for us. 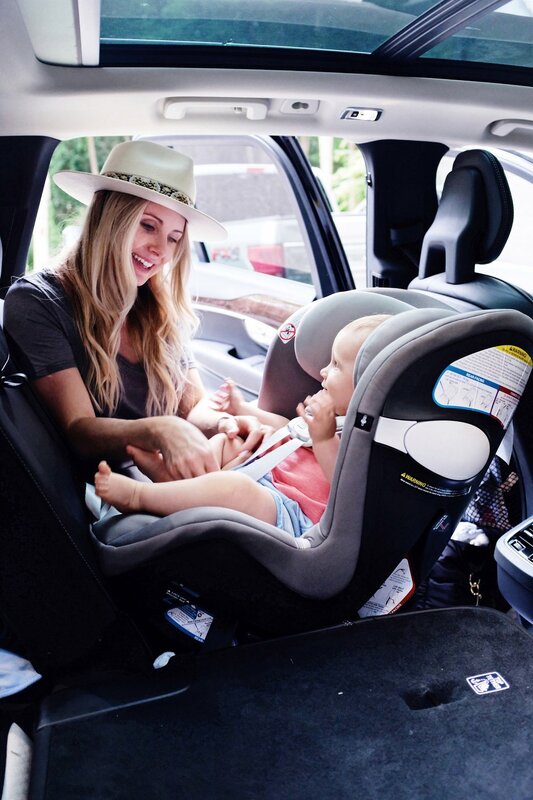 Thank you again CYBEX for sponsoring this post and introducing us to our favorite car seat!